The IAL range consists of innovative bio revitalizing dermal fillers, containing natural bio interactive hyaluronic acid for intensive regeneration and revitalization with bio-stimulating effect. IAL System provides hydration, improves skin turgidity and elasticity, helps detoxification and removal of waste products. 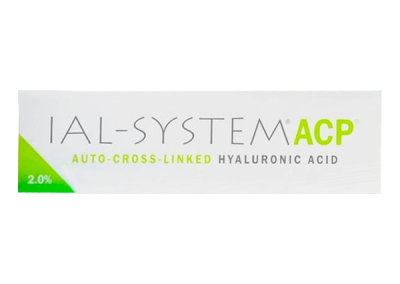 Contains HMW hyaluronic acid, 1.8%. Store at 2-8 degrees. 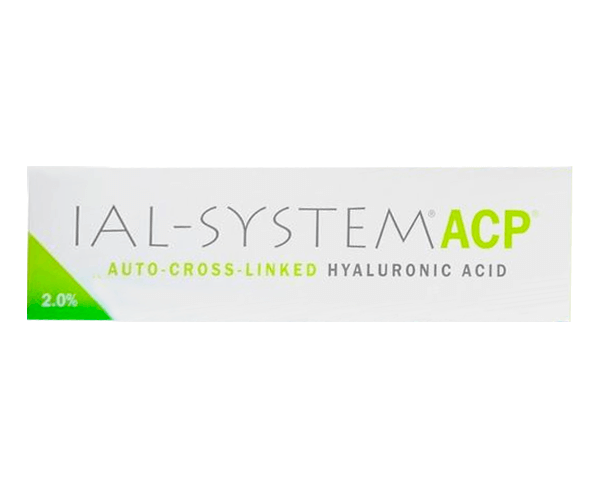 IAL System ACP is an auto-cross-linked hyaluronic acid, 2.0% supports cell proliferation to provide increased tissue density and production of cell matrix components, and improves hydration and tone. Store at 2-8 degrees. 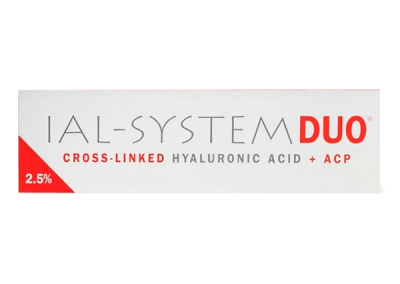 IAL System DUO is a cross-linked hyaluronic acid + ACP, 2.5% which lifts wrinkles and deeper lines, improves symmetry, reduces sagging, lifts cheeks and provides full facial volume restoration. Store at 2-8 degrees.